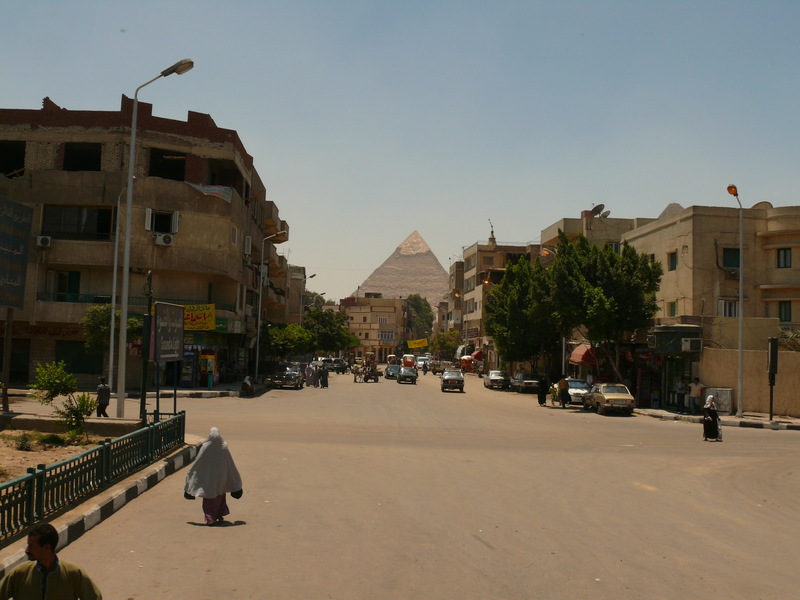 This street in Giza, a district of modern day Cairo, shows the Pharoanic past juxtaposed with daily life. Why is this not the image one normally sees outside of Egypt? Is it less significant than the battles, the costumes of times past, or the harder-to-glimpse ceremonies and religious practices? Daily life is often the missing piece in cultural information. At the same time, historical background, culturally-held beliefs, and some understanding of social and political perspectives are needed to interpret patterns of activity and the events of daily life. The information and scholarship you have read herein is a foundation for knowledge, and is intended as a filter incoming information you encounter hereafter. In regard to the goal of building knowledge, we have strived to whittle down the content to those aspects of cultural identity that will make cultural diversity a bit more concrete. In regard to filtering information, or critically parsing through mainstream sources, understanding the diversity of the region is the best preparation for analyzing prominent narratives and images in the media. As you can see from the street scene on the previous page, there are many layers of history side-by-side in the Middle East. The combinations vary in every local context. In Egypt, Pharoanic, Hellenic, Jewish, Christian and Muslim civilizational imprints exist in every neighborhood – in addition to the Egyptian, Greek, Arabic, Turkic, French, English elements which combined with those in history. Where does connect to the typical Egyptian, or to Egyptian culture in general? Unfortunately, one can’t make any assumptions about how these cultural elements may or may not influence daily life. The aspects of faith, culture, history and place that we present in this e-book are very general, and do not apply in the same way to every individual with Middle Eastern heritage, or every local context. The nation state dividing lines you see on the map do not indicate real cultural boundaries, either. These general aspects of language, culture and geography will express themselves quite differently from person to person, and place to place. The communities of West Asia and North Africa underwent and resisted enormous calamities. Gradual suffocation of regional trade and revenues, forced conscription and labor for the war efforts of outsiders, forced migrations which caused many groups to claim genocide, and blockades on internal transport devastated the region we now call the “Middle East” during the era of World War I and just prior. These factors worked together to kill thousands in North Africa, Anatolia, Greater Syria, Mesopotamia, and Iran by the end of World War One, and shifted demographics. The main piece of advice we leave you with, as you go on to learn more, is to consider the complexity of local circumstance. For example, the tensions that remain from colonial dynamics do not manifest in the same way in every location or community in the Middle East. An outsider may expect one reaction, but encounter an entirely different one. One may encounter these perspectives during a visit to any given country in the Middle East, of course, but increasingly this happens online. Once you learn to recognize these perspectives, they will become very apparent in both journalistic and scholarly discourses. One of the most powerful narratives of the Middle East – and it is a powerfully misleading one – is that it has fallen from grace, that it was once an advanced civilization but no longer. AS we mentioned in Chapter Three, a view of the world in terms of “evolution” can create categories of savage/advanced. This is why binaries, such as “traditional” vs. “modern” can be very misleading, and present a major pitfall for understanding this region. Science and discoveries have been a major contribution of the the region, that has often been overlooked in European history. Furthermore, contrary to stereotypical representations of the region, Middle Eastern countries continue to engage in some of the finest scientific research in the world. If you decide to go on to do further research, there will be many pitfalls. Fortunately, many of them are easily avoidable if you know how to recognize them. The pitfall usually comes in the form of either a romantic notion of some aspect of “culture,” or a demeaning interpretation. This is because most texts do not effectively engage with human differences. Effectively engaging with difference means accepting both commonalities and differences, and questioning aspects you don’t understand. It does not mean judging differences as “strange” or elevating them as “wonderful” – although that is what we tend to do when we are not thinking critically. Connect this academic knowledge with current accounts of daily life, identity and worldview very specifically. Recognize the diversity of the Middle East, and you will be well on your way to gaining a cultural understanding of the region. Ask questions. Be curious. The difference between asking questions before you have this academic knowledge, and after, is that you will be asking informed questions. This goes a long way in opening doors and making personal connections from which you will learn a great deal more than you could from any book.